Welcome to Adult Education at Town Hall Arts Center! Here, you will find information on classes, lectures, and workshops for adults. We are very excited to offer these new programs. Check back frequently to see what we’ve added! 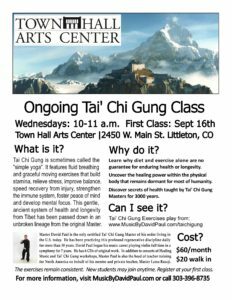 Tai Chi Gung is sometimes called the “simple yoga.” It features fluid breathing and graceful moving exercises that build stamina, relieve stress, improve balance, speed recovery from injury, strengthen the immune system, foster peace of mind and develop mental focus. This gentle, ancient system of health and longevity from Tibet has been passed down fin an unbroken lineage from the original Master. We have several classes, lectures, and workshops that can fit your schedule and your venue! 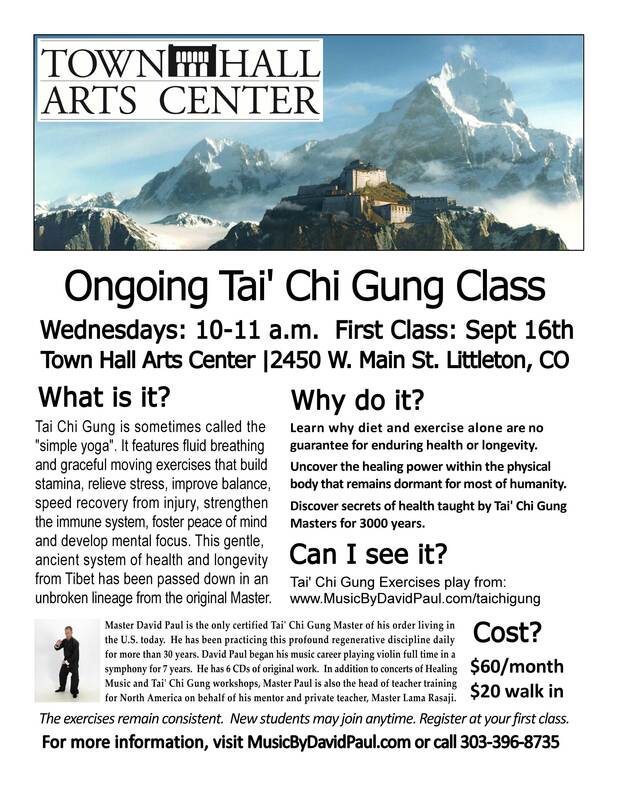 These class offerings can be done at the Town Hall Arts Center (space permitting) or they can come to your location. Class length can be adjusted to fit your schedule. *If you want a specific class you do not see above, please contact us! We have many talented teachers that can work with you to create the class you want. If you want more information, have suggestions on what classes we offer, or wish to request a class, please contact our Education Director, Seth Maisel, at smaisel@townhallartscenter.org or call 303-794-2787 x 217.